Static Electrics offers the supply, installation, repairs, and servicing of top quality Fujitsu air conditioners throughout Brisbane, the Sunshine Coast, and Townsville. Our team of experienced air conditioning technicians can keep your Fujitsu air con in top condition, ensuring it provides your family with reliable, energy efficient heating and cooling all year round. Fujitsu didn’t become ‘Australia’s favourite air’ without offering customers a host of great features. Fujitsu offers a wide range of air conditioner styles including split system, multi-split system, ducted air con, in both cool only and reverse cycle options. Energy efficient systems - inverter air conditioners are perfect for the demanding Queensland climate quickly cooling or heating your home efficiently. Cost-effective energy saving operation - this setting provides maximum cooling for minimum energy use. Advanced air filters - catching fine particles, dust, pollen, and other pollutants Fujitsu's air conditioner filtration systems are some of the best on the market. Human sensor control - this feature senses when there is no one in the room for a set amount of time, switching the air con to economy mode to save power, switching back to your normal setting when someone re-enters the room. Space-saving - the space-saving design features a compact outdoor unit and stylish indoor options. A reverse cycle air conditioner provides an energy efficient climate control option for year-round temperature control in your home. The air conditioning system can seamlessly adjust room temperatures throughout the day and night. Fujitsu General has been producing air conditioners designed to work in the tough, often changeable Australian climate since 1978. 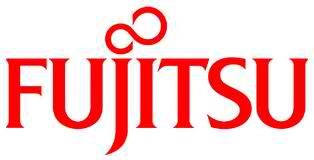 The purchase of a Fujitsu air conditioner is backed by international manufacturing, sales, and service system committed to providing a top quality customer experience. For prompt, professional Fujitsu air conditioner supply, installation, servicing, and repairs contact Static Electrics on 1300 206 004 or complete our air conditioning booking request form today.